INNERrOUTe will be performing and talking live on WKCR this Sunday, June 17th! Join us this Father's Day at 11pm-2am for the In All Languages show with host David Ellenbogen. 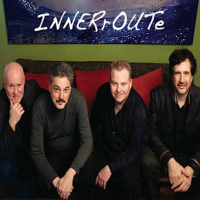 INNERrOUTe is: Bill McCrossen on double bass, Joe Vincent Tranchina on keyboard, Rick Savage on Trumpet and Flugelhorn, Michael D'Agostino on drums.